Yep, these brownies are made without oil, nuts or flour. You won’t believe the secret ingredient. Black beans! They are quick to put together and you can make them just a little sweet or super sweet depending on your taste. No nuts, no flour, no oil but plenty of delicious, yummy chocolate! Are you ready? 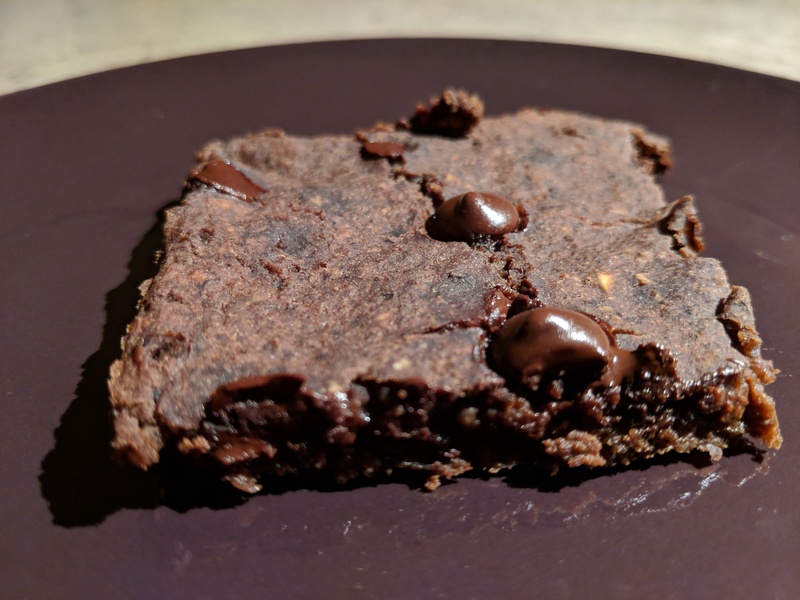 Note: I found the original recipe at https://chocolatecoveredkatie.com/2012/09/06/no-flour-black-bean-brownies/ then made a few changes. 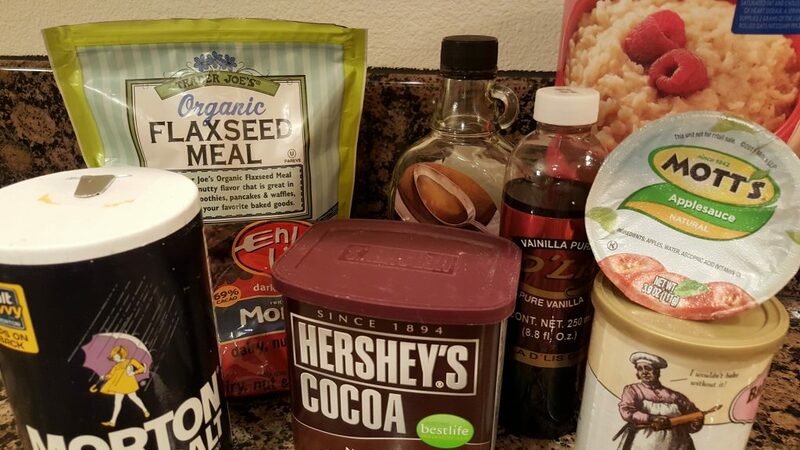 1/2 cup oats (gluten-free recommended) – quick oats are best. If you use rolled oats run them through the food processor a bit first. 1/3 cup maple syrup (can increase to 1/2 cup if you like it sweeter) – I’ve also used dates soaked in hot water for 30 minutes for less sweet. 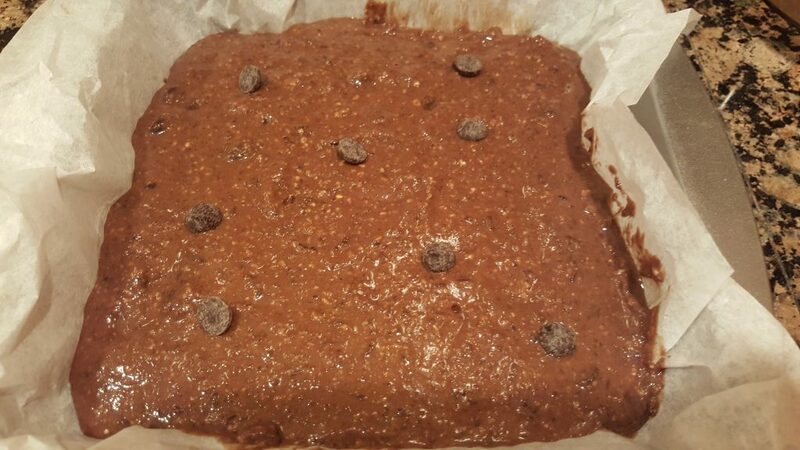 1/2 cup or more chocolate chips – I used Enjoy Life dark chocolate chips and it was amazing! Combine flaxseed and warm water. Mix well. If necessary put rolled oats in food processor and process. Don’t let it turn into flour. 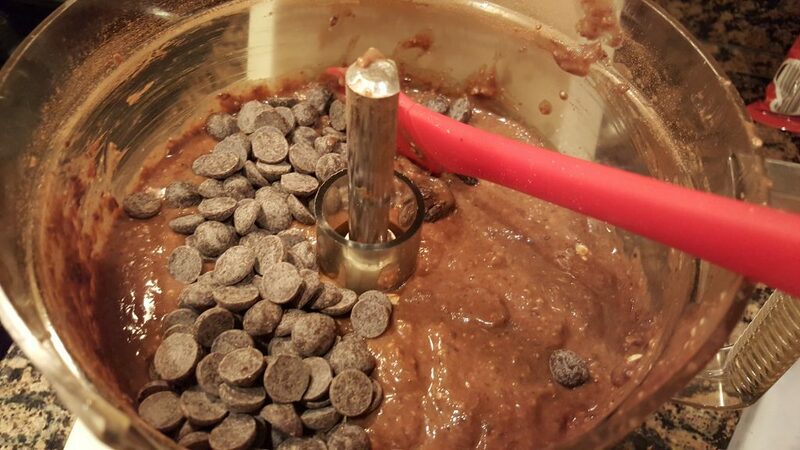 Add all ingredients except the chocolate chips to the food processor. Mix, stir and repeat until it’s really smooth. Pour the mixture into an 8×8 non-stick pan. If you don’t have a non-stick pan, put a big sheet of parchment paper that hangs out a bit above the edges into the pan. Then pour mixture on the parchment paper. Cook for about 15 – 18 minutes. Let cool if you can. Then cut into 9 brownies. Or cut into 12 brownies if you’re less generous. They stay better in the fridge. Well, if you don’t eat them all right away. If you like my recipes, sign up here to get more via email.